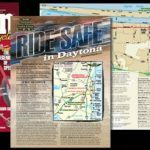 For over a decade we've been seen a useful source in the motorcycle industry press for our maps and knowledge of events. Biker InCite® Maps are now part of the University of Wisconsin Milwaukee's Digital Map Collection. 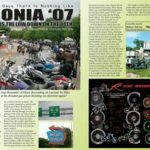 Laconia 2007 Rally review article, written by Biker InCite® for Cycle Source Magazine. 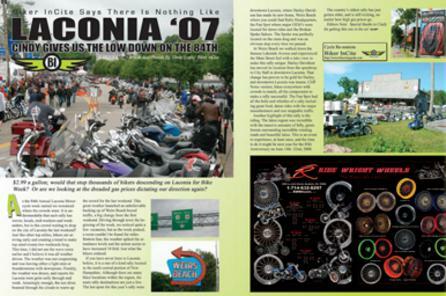 March Issue of V-Twin Magazine, the Daytona Survival Guide 2007. 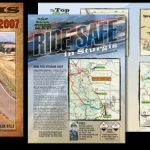 2007 August Issues of V-Twin and Easyriders Magazines, the Sturgis Survival Guide. March 2006 Issue of Biker Magazine. 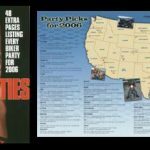 We at Biker InCite® are often referred to in the biker press as a handy resource for those who are always on the lookout for places to ride to .